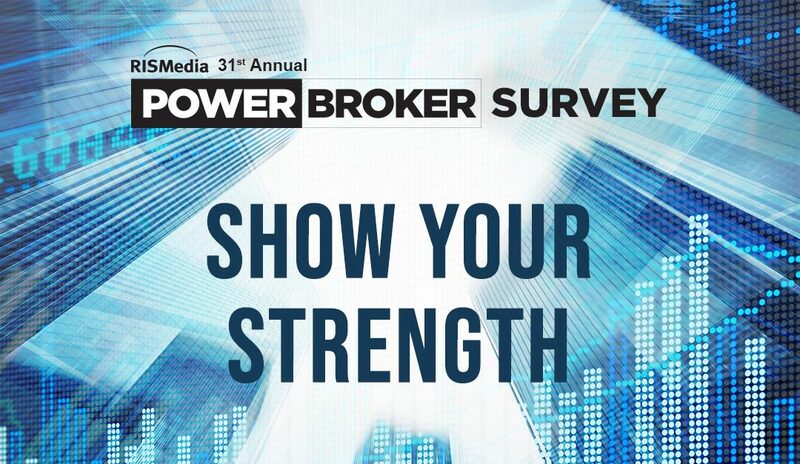 RISMedia’s 31st Annual Power Broker Survey is now open, with expanded minimum requirements this year: at least $75 million in sales volume and 250 transactions in 2018. Also new this year? Power Brokers will be featured in an interactive, online ranking, available now by region, in addition to sales volume and transactions, as in past years. The Power Broker ranking and results will be revealed on April 1, 2019, in the complete directory on RISMedia.com and in a partial ranking in RISMedia’s Real Estate magazine. As Power Brokers, they are distinguished as elite industry leaders, both to agents and new recruits, as well as homebuyers and sellers. In addition, their brands are exposed to more than 500,000 industry professionals, and they are allowed exclusive networking opportunities with other Power Brokers. RISMedia’s Annual Power Broker Report & Survey is the industry’s longest-running, preeminent ranking by residential sales volume and transactions. Questions About the Power Broker Survey?